WASHINGTON – Eight years ago Carolyn Woo was like many Catholics when it came to knowing about the work of Baltimore-based Catholic Relief Services. She dutifully contributed to the agency’s Lenten Rice Bowl collection, but had only a vague notion of the reach the U.S. bishops’ overseas relief and development agency had among the world’s poor and marginalized people. Today, Woo, 57, dean of the Mendoza College of Business at the University of Notre Dame, is poised to become the new president and CEO of the $919 million organization. On Jan. 1 she will take over for the retiring Ken Hackett, president and CEO since 1993. 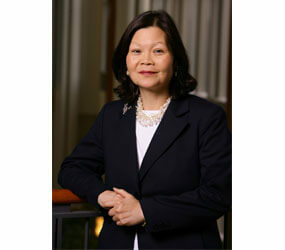 Woo brings 35 years of experience in the academic and business worlds to the position. Her background includes a six-year term on the CRS board of directors that ended in 2010. Her expertise in strategic planning, entrepreneurship and organizational structure will be vital in managing the rapid growth CRS is experiencing. The global agency has seen its revenues quadruple in a little more than a decade; more emphasis is being placed on development and reconstruction alongside the traditional work of providing basic services and responding to natural disasters. Woo told Catholic News Service that she sees her new role as emanating from the heart. “Leadership is first and foremost a love story,” Woo explained in a July 5 telephone interview. “It’s a love story in the sense that you have to really care and love the mission that you’re given. Almost as you raise your children, your life is devoted to this. It’s a love for what the organization stands for. It’s a love for the people who work side-by-side with you. You understand the sacrifices they made and their extraordinary generosity and faith. And a love for the people who are affected by what you do. Woo’s official history with CRS is relatively short, beginning in 2004 when she was recruited to join its board as one of the first lay members. Until then only bishops served as directors. While on the board Woo had the opportunity to see the work of CRS firsthand with trips to Banda Aceh, Indonesia, soon after the 2004 earthquake and tsunami, and later to East Africa and Afghanistan. She said she came away impressed with the way CRS staff worked with local partners. “I enjoyed my six-year term and it changed my life,” she said. Despite her time on the board and the strong affinity she developed for the organization’s work, becoming CEO of CRS was nothing Woo considered – at least not until Bishop George Leo Thomas of Helena, Mont., came calling. After Hackett, a parishioner of the Cathedral of Mary Our Queen in Homeland, announced he wanted to retire some time during 2011, Woo was asked to serve on a search committee to find a successor. She agreed and began helping set the criteria for the new CEO. Committee members, Bishop Thomas among them, identified 250 possible candidates and began contacting them. After Woo missed one meeting because of other engagements, Bishop Thomas called her in Indiana. She thought he was simply keeping her in the loop. “He said, ‘We are glad you were not at the meeting because there are people who think you should be a candidate.’ I told him, ‘I have as much relief experience as you do,’ ” Woo said. The conversation turned serious. Woo asked Bishop Thomas what he would do if he were asked to apply for a major new position. “A decision like that needs to be made on one’s knees,” Bishop Thomas told her, recalling the conversation in a July 6 telephone interview with CNS. Woo prayed, applied and got the job. It wasn’t as if she had the inside track though, according to Bishop Thomas. “She really faced all the expectations that all the other candidates faced because we insisted on a level playing field,” he said. Now Woo has the chance to carry out her vision for the organization. 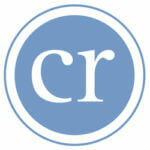 Along with that comes the move to Baltimore, home of CRS headquarters, after nearly four decades in Indiana. Bishop Thomas, for one, has no doubts that she will do well. “She is a deeply Catholic woman,” he said. “She has a deep sense of solidarity with the poor. She has a motivating kind of spirit to get other people involved. Woo arrived in the U.S. as an 18-year-old from Hong Kong in 1972 to enroll at Purdue University, where she received bachelor’s, master’s and doctoral degrees. She held various positions at Purdue, ultimately serving as associate executive vice president for academic affairs. Woo joined Notre Dame as dean of the business college in 1997 and built the school into one of the country’s leading programs. Raised Catholic by her father, who left China with his wife when it was occupied by the Japanese during World War II for Hong Kong, Woo developed a close relationship with the church thanks to her father. She remembers how he made sure she and her siblings attended Mass every Sunday even though he did not attend despite being a baptized Catholic. Woo has served on the boards of six corporations including AON Corp, Bindley-Western Industries, Circuit City and St. Joseph Capital Bank. She also has shared her experience with numerous nonprofit groups and professional organizations. Along with the agency’s growth, Woo said CRS faces a changing funding environment as she steps in as president and CEO. Along with new funders coming aboard come new demands for performance and accountability. The organization’s growing partnership with the U.S. government means new political and diplomatic concerns as well, she acknowledged. There will also be a renewed effort to better engage the Catholic Church, meaning the people in the pews who are among the most significant funders of the work of CRS, she said. Following the precepts set out by Pope Benedict XVI in his encyclical “Caritas in Veritate” (“Charity in Truth”) also will be a priority, she said.